Tour Bus Rental Company in Dubai, UAE. Minibus & Coach Hire Dubai. If you are looking for Minibus, Bus Rental services in Dubai, UAE, you have come to the right place. Reliable and trusted by hundreds of travelers and organizations. 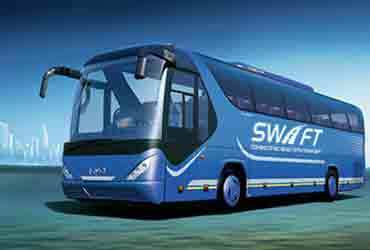 Our team at Swift Transport believes that everyone should have easy access to convenient bus, minibus, and van rental services as well as transfer and meet and greet services. Our company provides the Best Bus rental and transfers throughout Dubai and UAE. If you need passenger transportation services in Dubai, Abu Dhabi or UAE for Small or Large groups, then look no further, our company is the best fit for your needs. Just ask for a FREE quote. Best Prices Guaranteed. Our buses are famous to give the most comfort, safety, and quality to our clients. We will always be punctual and our drivers constantly trained to provide you with top service. Hire a Coach and choose between 12, 22, 25, 30, 35 or 50 Seaters. Al are New, Clean, Comfortable and well equipped even with Wi-fi. Our Team members are ready to serve you and provide you with best Transportation Services in Dubai. In order to obtain a coach or minibus hire quotation please fill our our quick and easy coach hire quotation form. Alternatively give us a call on +971 55 273 4040 or +971 4 3595250 to speak directly with a member of our team. Since we tailor our services to your needs we will do the same with our pricing as well. We ensure you will get the best Price in Town and ensure in the same time that you will get the promised service quality in order to enjoy and use us again. We are working in the Bus Rental Industry for more than 13 years, we have a young fleet of Buses, Minibuses and Minivans, clean and comfortable, driven by experience & professional drivers to ensure you have a great experience while visiting UAE. SWIFT Transport & Bus Rental is a High-end Charter Bus Company dedicated to provide you top services at Lowest Prices for all your ground transportation needs. Our professional office staff and highly trained drivers strive to meet your every transportation need, from the moment you first call us until your transportation job is satisfactorily completed. More than 13 years experience providing best rental bus services. We have +40 Vehicle fleet which ensures will provide best options for clients. Qualified, enthusiastic team, our advisors are always here to help.